…if you were enjoying your morning coffee as much? Many coffee drinkers like you are looking for a great cup of coffee. Of course, you are! That’s why you signed up for this newsletter, right? Look no further: I’ll tell you what kind of beans to buy, the grind, the roast, and much more… So you can get brewing some decent coffee in the mornings! 4. And even how to do a little shopping! The enjoyment of your cup of coffee will be worth it. I promise. 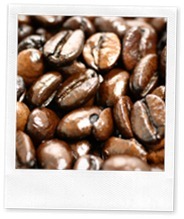 So let’s get started from the basics on how to buy good coffee beans.